It is not known how the individuals contracted the disease. The Houston outbreak comes as new cases of measles are being confirmed in Washington state on a daily basis, and other cases have been confirmed in Oregon, Georgia, and New York. A number of specific details about the cases in Houston have not been publicly disclosed, including how it is believed that the individuals contracted the disease and if they were previously vaccinated. 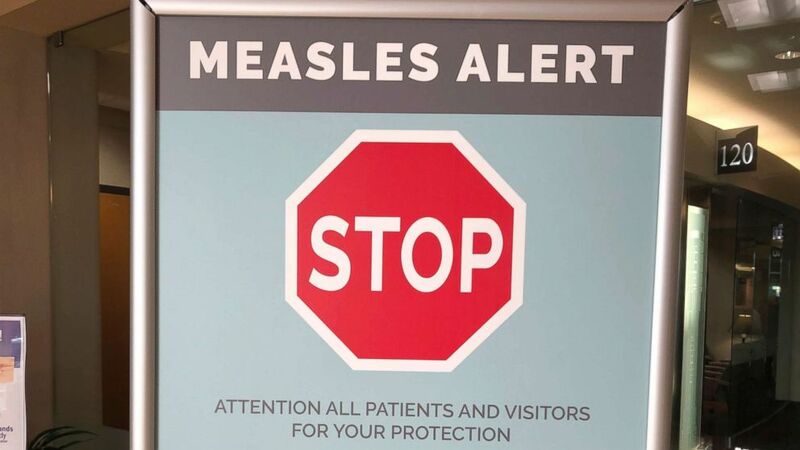 (Gillian Flaccus/AP, FILE) Signs are posted at The Vancouver Clinic in Vancouver, Wash., to warn patients and visitors of a measles outbreak, Jan. 30, 2019. The only details about the three infected individuals that have been released is that two are young boys under the age of 2 and the third is a woman between the ages of 25 and 35 years old. All three individuals live in northwest Harris County, according to Harris County Public Health. "Measles is a highly contagious respiratory disease caused by a virus, which spreads to others through coughing and sneezing," Umair Shah, the executive director of Harris County Public Health said in a statement confirming the new cases in Houston. "However, it is easily preventable. Parents and caregivers have the power to protect their children and themselves from this disease by getting vaccinated." 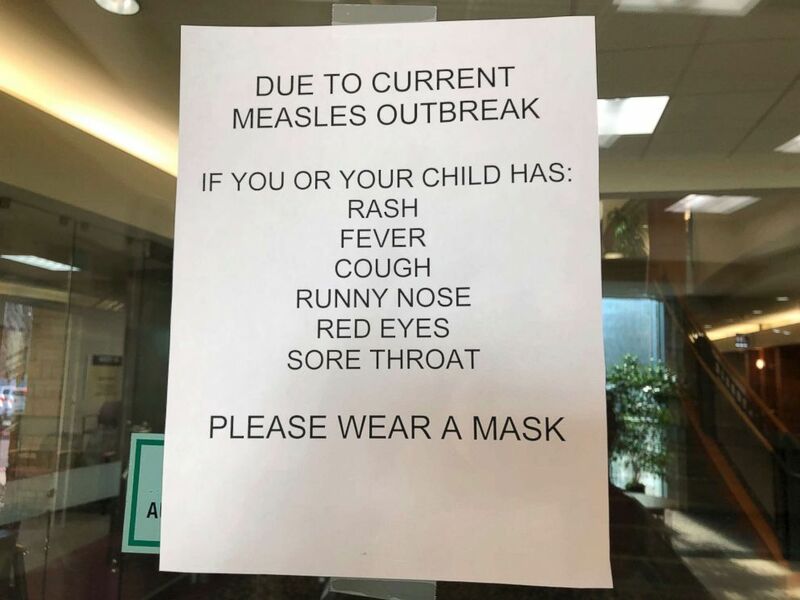 (Gillian Flaccus/AP) A sign is posted at The Vancouver Clinic in Vancouver, Wash., to warn patients and visitors of a measles outbreak, Jan. 30, 2019. 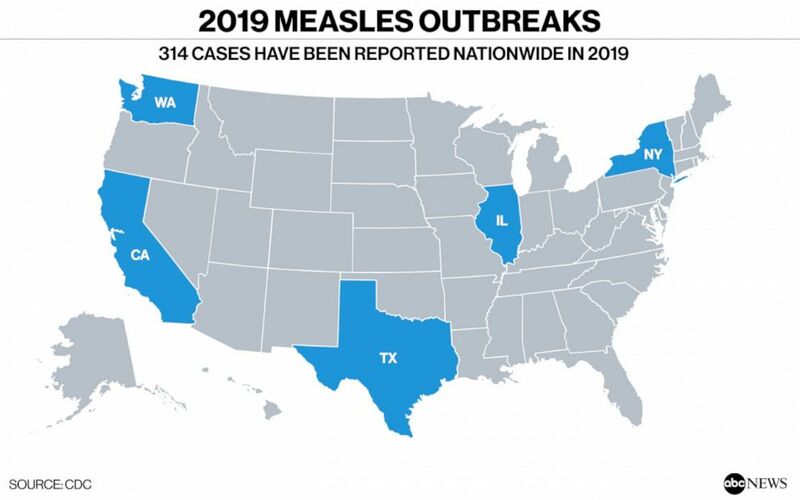 The outbreak in Clark County, Washington, involves 49 confirmed cases of measles and nine suspected cases, according to local public health officials. New York has also seen an outbreak that started in the fall of 2018 and has continued into 2019. A New York Department of Health official confirmed to ABC News last week that there were 30 confirmed cases to date in New York so far this year, and 122 confirmed cases in 2018. Those cases are mostly located in Rockland and Orange counties, about an hour and a half drive north of Manhattan. Experts attribute the spread of measles in part to lower vaccination rates in certain communities, making more people vulnerable to the disease and lowering the level of herd immunity that protects large groups from becoming infected.